Where I doubt is when the CDA then plans to impose a lockdown on the estate that permits financial members alone ingress and egress. Sure, by naming and shaming non-financial members, we may get them to put their money where their expectations lie. However, are there no better ways of strengthening our civic sense of duty, but by violating our rights to move freely? Every month, I join residents in my estate for a housekeeping talkfest. Held on the last Saturday of each month, these meetings are now as much community symbol as community culture. The 8.00 a.m. start time is, of course, fictional. Attendance was helped, when the Lagos State government still enforced the ban on movement (until 10.00 a.m.) on “environmental Saturdays” — but, otherwise, owing to our propensity to be fashionably late, the meetings are never properly convened until 9.30 a.m. So those who are time-constrained and show up on time have to find ways to spend the wait productively. The conversation, invariably, reaches the state of the nation. Over the last four years, consensus has been that the economy is worsening. Members split evenly between those who blamed the nation’s woes on the Stygian rule of the Jonathan administration, and those who worried that the incumbent administration’s policy choices were never going to bring about our preferred outcomes. Last Saturday, this debate came to a head. Agreement was near unanimous that the Buhari administration had failed. It was also the case that most members were persuaded that a larger portion of the electorate was on its way to this conclusion. The main disagreement was around the impetus for this transition. Had the people thought through the gap between the administration’s sundry pronouncements and the reality of things? And had they, then, realised that they’d been had? No! Instead, it was agreed that the hunger that is a major outcome of the Buhari administration’s dirigisme was beginning to bite past the bottom of the pyramid — and this is enough to tilt the vote against the incumbent administration. In a way, this question seemed to follow naturally from the conclusion: “If the bottom of our economic pyramid was that fraught, how are the other layers faring?” Much of what currently passes for feedback to this question is anecdotal, allowing for both contentious disputes and the deployment of untruths in support of partisan interests. But lessons, there still are, and my community provides these aplenty. Over the last two decades, the agenda for our monthly Saturday meetings haven’t changed at all: security, Ikeja Electric Plc. (okay, this changed. A couple of years back, it was simply, NEPA), and development projects. How to interest these individuals in the governance of their space? And to persuade them that duties attach to the rights (which we all argue for) to the security of life and property? Oftentimes, the disagreements on these questions fester more pruriently than that around the competence of the Buhari administration. 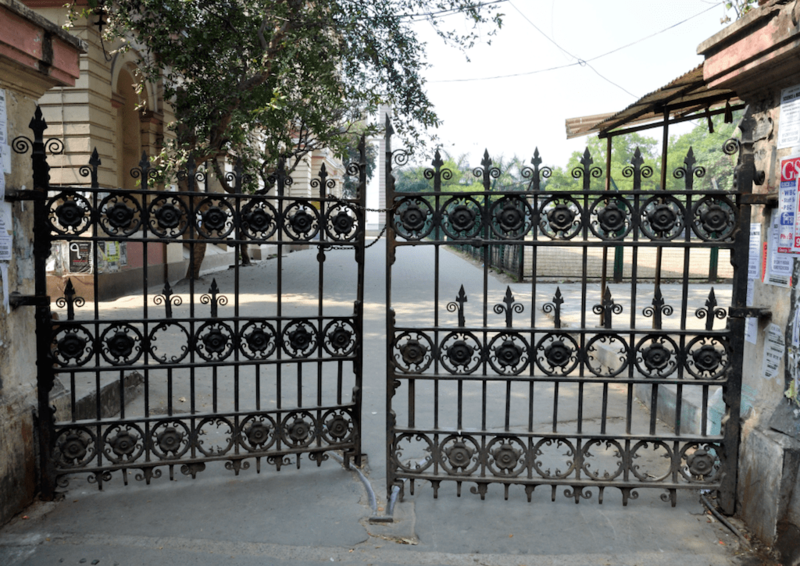 “Security” involved contracting private guards — day and night — to man the gates leading into the community, and at night, to patrol the community. “Development projects” were simply about ensuring that the “commons” (roads, security support structures, etc.) remained in a good state of repair. In the end, these agenda items spoke to one concept: the failure of the state. And even where a privately-owned public utility like the Ikeja Electric Plc. provided services, the conversation during our meetings nearly always touched on how the community had to “facilitate” staff of the utility to ensure prompt response to its concerns. I, thus, always left these meetings with a dystopian sense of Nigeria. Would, though, that that’s the only level at which the country fails. In its duty as a quasi-government, my community development association (CDA) granted itself tax-raising functions. In order to pay the security detail, at least, each “house” is expected to pay a monthly levy into the CDA’s coffers. About 20 per cent of the “houses” in the community pay this levy at all. And, even, far fewer attend the monthly meetings. Except, of course, there’s a security breach — in which case residents of the affected area (especially those who don’t bother to pay up on their financial obligations) storm meetings to ply management with their complaints. How to interest these individuals in the governance of their space? And to persuade them that duties attach to the rights (which we all argue for) to the security of life and property? Oftentimes, the disagreements on these questions fester more pruriently than that around the competence of the Buhari administration. Nonetheless, there is clear agreement that if the community is to drive appropriate behavioural responses, then it has got to structure its “domestic incentives” properly. There’s little doubt, in this phrasing of the problem, that a relatively secure environment is reward enough for the houses that pay their levies.